Imagine spending at least 20 hours a day, 7 days a week with a baby strapped to your chest. Imagine you must eat, sleep, work and care for your other children along with a tiny baby who depends on your continuous skin-to-skin contact and exclusive breastfeeding for survival. 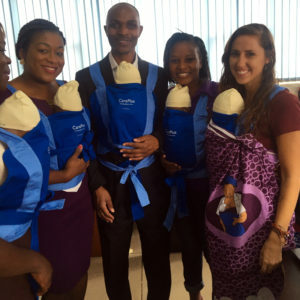 This is the basis of kangaroo mother care (KMC), a cost–effective intervention to help meet a premature or low-birthweight baby’s basic needs for warmth, nutrition, stimulation and protection from infection. For Malawi, with the highest preterm birth rate in the world (18 per 100 live births), KMC is a critical lifesaving intervention. But too few premature babies receive KMC due to lack of awareness, limited resources, and stigma against both KMC and premature/low-birthweight infants. 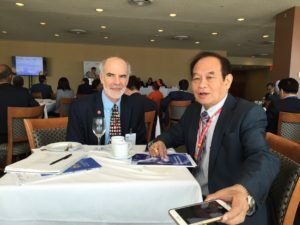 It is not surprising, then, that direct complications of preterm birth are the second leading cause of child deaths after pneumonia, and result in more than 14 newborn deaths every day in Malawi. To commemorate World Prematurity Day 2016 on November 17th, Save the Children staff in Malawi accepted the KMC Challenge. Participants practiced KMC with a baby doll for 24 hours – holding the doll throughout work hours, around town and at home for the night. 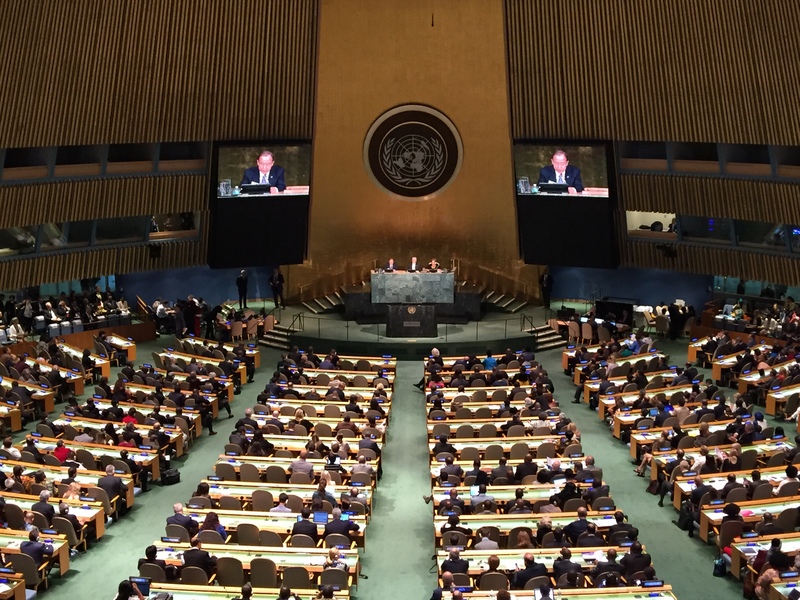 The challenge was accepted by other partners across the country and globe. Over the course of the day, 20 men and women got a glimpse into the life of a mother with a premature baby and all the issues it presents. 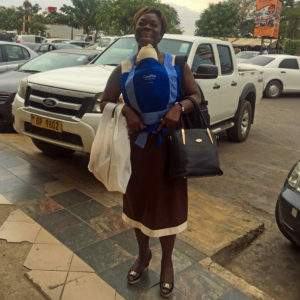 “Through what I experienced as a man doing the challenge, I think women need more help,” said Nyashadzashe Kaunda, an awards management officer. “Men should also be taking care of the child and helping throughout the whole KMC process,” he said. At the end of the 24 hours, colleagues returned the dolls and resumed their normal lives. For women around the country, it isn’t so easy, though, as their child’s life depends on their continued commitment to practice KMC until the baby reaches a healthy weight. In a country where neonatal mortality accounts for 40 percent of all death in children under age 5, it is everyone’s responsibility to champion KMC, and not just on World Prematurity Day, but every day. Save the Children is helping shift norms around the value of newborns in Malawi through the government’s social and behavior change communication (SBCC) campaign, Khanda ndi Mphatso (A Baby is a Gift: Give it a Chance), helping establish KMC “sites of excellence” in district hospitals, and collaborating with the Ministry of Health to develop a national routine reporting system for KMC services in health facilities. To learn more about our work to improve newborn survival, click here. Alicia Adler is a program officer and Global Health Corps fellow with Save the Children in Malawi. Measles is a highly contagious, horrific disease. If left untreated, in a worst case scenario, it can lead to death. There’s no specific treatment for measles: all that medics can do is isolate the sufferer, give them vitamin A, and hope for the best. In high-income countries most people infected with the disease recover in a couple of weeks, very few die. But in developing countries it kills up to one in five. A safe and cost-effective vaccine does exist. 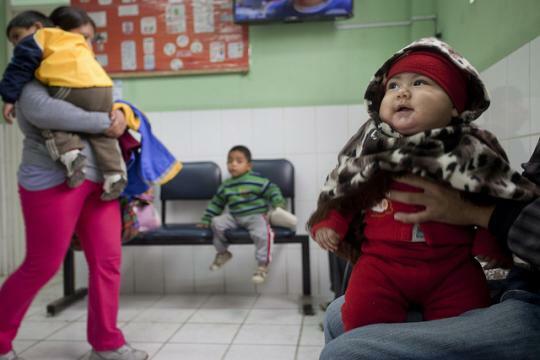 But families in remote areas, in countries with weak health systems, struggle to access it. Mayom County, in rural northern South Sudan, is one such place. A remote population in a country whose infrastructure has been crippled by civil war, no children have received routine vaccinations here for over two years. In January a few suspected cases of measles appeared, scattered around the main town. By the end of February, the county was in the grip of a fully-blown outbreak. Nearly three quarters of the cases were children. If someone didn’t act fast, a tragedy of enormous scale was on the horizon: tens of thousands of children were at risk. Previously in situations like this, we would have to spend time pulling together teams of specialists and supplies – a delay that costs lives. But last year we revolutionized the way we get medical care to children in emergencies, when we launched the Emergency Health Unit. The unit is made up of fully-formed, world-class teams of medics on standby all over the world, ready to deploy within hours – complete with equipment, supplies, and logistics experts like me with the skills to get everything where it’s needed quickly. When you have pre-positioned supplies you don’t have to spend time initiating the supply chain process, raising a procurement form, searching for funds, finding suppliers who can take months…while children in emergencies wait. That’s why these kits are so important. As soon as we heard about the measles outbreak in South Sudan, my team was mobilized. Within two weeks of the outbreak being announced, we were on the ground vaccinating children in 18 clinics and 24 mobile outreach centers. Tracking the population in South Sudan is difficult, especially since the outbreak of conflict and the huge movement of people it has caused. A rough estimate told us we could expect to vaccinate around 26,000 children. Three weeks later, we had vaccinated 44,447. We linked up with local staff and infrastructure and worked with the community to raise awareness on our behalf and tell people we were here. 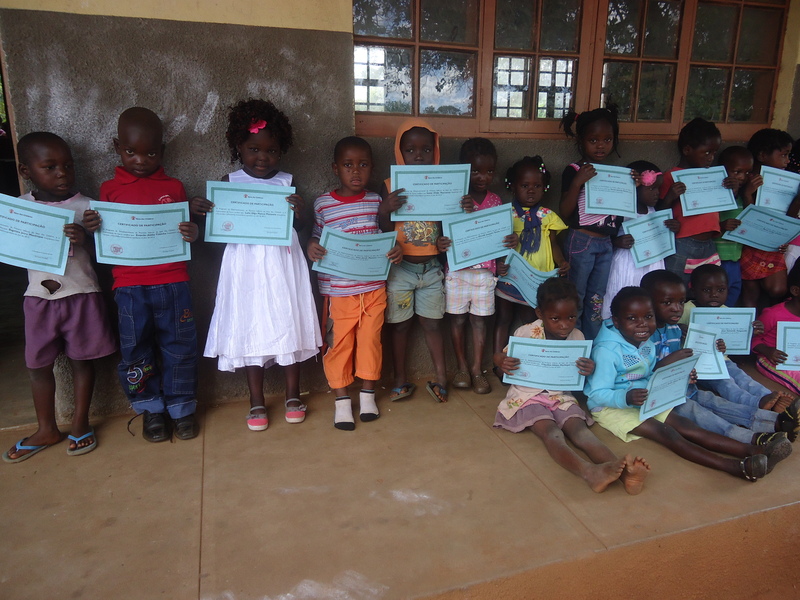 Word spread quickly, and after receiving 60 children on the first day, numbers rapidly swelled to up to 400 daily. Reaching out to the community in this way is so important to our work in emergencies – we would never have reached as many children as we did without their help. The infrastructure in Mayom is poor – it’s difficult to reach this part of South Sudan, and many NGOs are reluctant to attempt healthcare here. We relied on an array of transport, including motorbikes and canoes, to reach the most remote communities. We travelled across rough, rugged terrain and collapsed bridges, and vaccinated children in the middle of sandstorms. We hurried, carrying life-saving vaccines that melted at three times the normal speed in Mayom’s 40-degree heat in precious cool-boxes . All while wearing what my colleague Nathalie calls the ‘Mayom suit’: head-to-toe dust. In one rural cattle ranch our team leader, Koki, was heavily spat on by an elderly man on our arrival. “Hey, what’s this?” Koki said at the time, wiping the slimy liquid from his forehead. It turned out this was a sign of appreciation from the old man, who in his lifetime had never seen any NGO reach his remote community. ‘’Being spat on by an old man signifies immense blessings bestowed upon Save the Children!’’ a local health official told us. And this salivary medal of honor feels truly earned. It was an incredible achievement: in this most inhospitable of environments, we did whatever it took to protect the vulnerable children in this isolated part of the world. Our new system works: in just three weeks, 44,447 children were permanently saved from a potentially deadly fate. A catastrophe was averted. 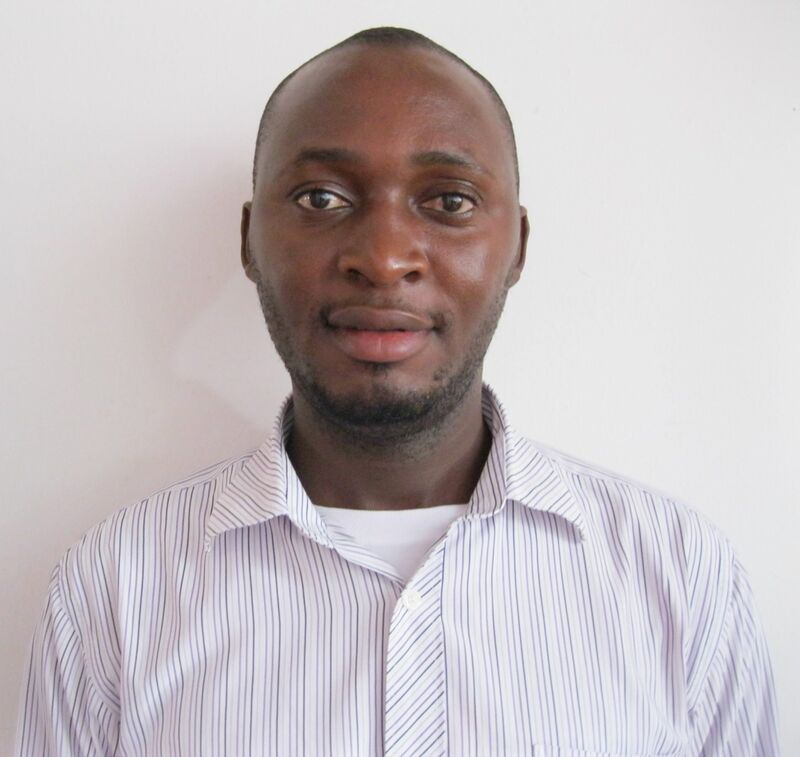 Dr Nicholas Alusa is an experienced pharmacist and medical logistics expert working as part of our new Emergency Health Unit, a major change in our work. The Unit consists of immediately deployable teams containing the ideal combination of medical and operational specialists, strategically positioned in emergency hotspots around the world and fully equipped with the best tools for the job. We can deploy these teams in a matter of hours, putting them at a child’s side, giving them the treatment they need in those critical early stages of an emergency. In the course of a regular day with my 13 year-old daughter, I check in on how her day went and tell her I love her. It’s pretty standard stuff for moms. And as President and CEO of Save the Children, I’ve seen how children’s health, happiness and safety are paramount to mothers in every corner of the globe. That’s why last week, when I called my daughter from Liberia, I stayed on the phone a little longer than usual—so grateful to hear her voice and know she was safe and well. 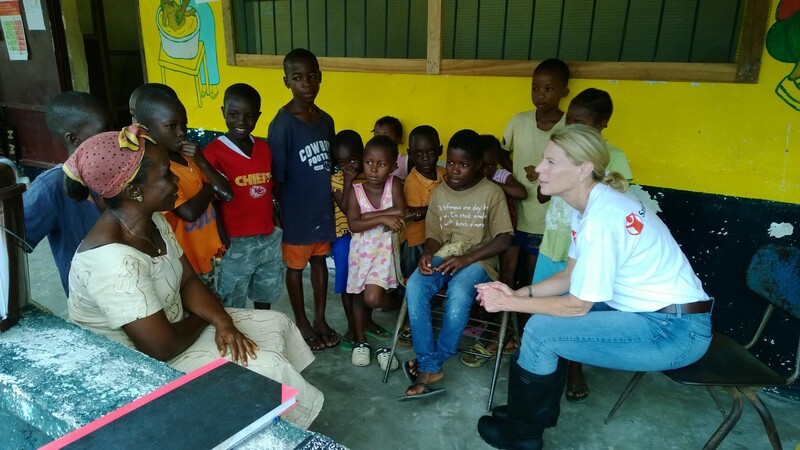 The conditions in Liberia, where Save the Children is responding to the Ebola epidemic, are some of the worst I’ve ever seen. Children are always among the most vulnerable in a crisis and this is no exception—2.5 million children under five are living in the hardest-hit areas across the region, and 75% of all children infected in the current epidemic have died. Even those who are not infected themselves risk losing their parents to this terrible disease and often end up alone and ostracized by their communities. Fear, like the virus, is spreading rapidly. 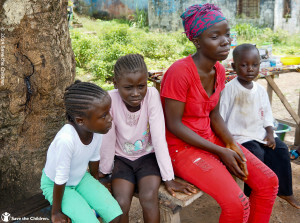 Martheline with her three younger siblings, who she is now caring for in the wake of their mother’s death from Ebola. I met a young girl named Martheline, who is about my own daughter’s age. 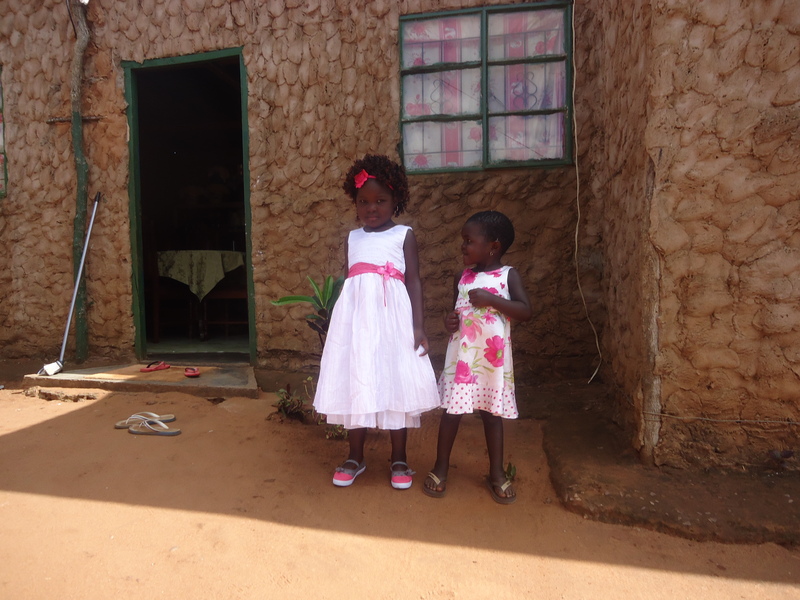 When her mother became ill with the Ebola virus, there was no money for a doctor and no way to access local services. Martheline nursed her mother at home, and then mourned her when she passed away. Having lost her father several years before, Martheline was left to care for her three younger siblings—while a fearful community left them to fend for themselves. Even though they were not infected by the virus, every day has become a struggle for survival. This crisis is also taking a toll on the incredible progress the world has made to reduce maternal, newborn and child deaths in Liberia and around the world. Already weak health systems are collapsing under the strain of the outbreak and many health facilities are closed—meaning that children are missing out on vaccinations and basic health care, putting them at great risk for preventable childhood diseases, and more women are giving birth at home in dangerous conditions. The effects of this virus are devastating and far-reaching. The people I met in Liberia are no different than those I’ve met anywhere else in the world. They want the chance to be self-sufficient. They want to be able to support their families. They want to live with dignity and pride. The most important thing we can do now is to focus on giving those affected by Ebola the chance to live safe, healthy lives once again. That’s why Save the Children is joining forces with those in the region to halt the spread of Ebola. In Liberia, we’re building Community Care Centers to provide community-based care closer to home, training health workers, and providing medical equipment and protective kits to families. We’re also working with orphans and other vulnerable children to ensure they are protected in this time of crisis by providing survivor kits to meet their basic needs and reuniting them with extended family whenever possible. I know it can be easy to feel hopeless in the face of such devastating death and disease. But the global health community has already proven that by working together and partnering with people on the ground, progress is possible. Together, we eradicated smallpox. We are well on our way to do the same with polio, yellow fever and measles. 17,000 fewer children die each day than in 1990. There are millions of children alive today because we believed in the power of local health systems and we believed in the power of working together. We must act now to support mothers, daughters, families and communities in Liberia, Guinea and Sierra Leone. Martheline didn’t just lose her mother to Ebola—she lost her childhood to the virus. It’s up to us to make sure she doesn’t lose her future too. Donate today to help Save the Children build and manage Community Care Centers for Ebola patients and their families and distribute Survivor Kits to meet orphaned children’s basic needs. I am not sure that in my 16 years with Save the Children that I have seen—and felt myself—such palpable fear in a place as I did last week in Liberia. But it is a fear that comes at you in waves, an undercurrent that runs under what looks on the surface to be the normal daily life of a very poor country in West Africa. In the market, people are going about their business, buying and selling wares, going to work, cooking in small sidewalk stalls. But right away you start to notice the billboards, the signs, all calling out that Ebola is real and what to do to keep safe. You see the washing stations at every store, every stopping point—and after just a few hours, the fear starts to seep in. My colleagues point out the sirens, signaling another Ebola case has been picked up, and images of the victims flash through my head. The fear comes as I wash my hands in chlorinated water from a small bucket with a spout everywhere I go, as my shoes are sprayed with the same chlorine solution each time I get in and out of a vehicle or go into a building, as I try to remember to shake hands with no one, to touch no one, to not get too close, even to my own colleagues. Fear comes with the constant message on the radio inside the car as we drive—”Ebola kills”—over and over again. But the real face of fear in this epidemic is in the faces of the families and children I met – children and families that have lost mothers, fathers, wives and husbands, brothers and sisters. Those who have survived quarantines, but who are now shunned by their communities and cut off from basic services. I see the fear in the children I met who have been orphaned by the virus and are living in makeshift shelters, under houses, inside storerooms. Whole families of children living day-to-day as best they can without their parents. Their fear, and the fear of those around them, shows starkly in their eyes. 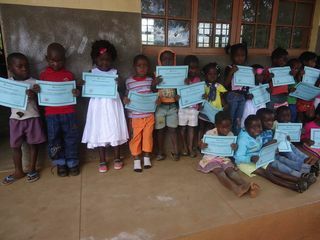 There are an estimated 3,700 orphans across the three hardest hit countries of Liberia, Sierra Leone, and Guinea. In Liberia alone, the number is estimated at 2,000, with new children becoming orphans each day as the virus ravages mothers and fathers. One little girl I met, seven year-old Elizabeth, was living under a house with her older brother just steps away from where their mothers body had been taken over a month ago. They had come and burned all their belongings and sprayed down the room but the children would not go back inside. While they survived the 21 day incubation period, they now faced the prospect of starvation and stigma as people in their town are too scared to even look at them. One of the key pieces of our response is to work with the Department of Social Welfare in Liberia to ensure we know where these children are and get them basic survival kits which include food, household items, soap and hygiene supplies and clothing. Then we begin to try to reunite them with extended family whenever and wherever possible, a painstaking process to trace family members that may be hundreds of miles away. But the bigger issue in this crisis is breaking the back of transmission of the disease, reducing the reproductive rate of cases to below 1—and bringing down the fear. The messages, chlorinated water, and radio programs have done part of their job but people must leave their houses and get into care and stop infecting others at the first sign of symptoms. Tragically, there is just not enough care and beds available. Save the Children is building 10 Community Care Centers in Margibi county—smaller centers where people can go and get tested, where those testing positive are isolated from others before being transferred to a more sophisticated Ebola Treatment Unit, getting basic care while waiting for a bed and receiving visits from a mobile team of doctors and nurses. We are also building an additional Ebola Treatment Unit to serve Margibi, one of the epicenters of the epidemic, modeled after a center we already built in Bong County. While the fear of this visit was very real, there was also hope. In my last hours in Liberia, I visited a transition center for orphaned children in Montserrado, with 10 children who still could not yet be reunited with their families. While you could still see traces of fear and certainly sadness in their eyes, they lit up when asked to sing a song and proudly told me about their dreams. One little boy, Edward, told me with a confident smile, that he wanted to be President. Right at that moment, I believed it could come true, if we could just end the fear and death all around us that have no place in a child’s life. Please help us do more to halt the outbreak and provide lifesaving outreach and protection for children.